The cover of the book in a combination of red, yellow and black reveals that the book is clearly a thriller and a city by the side of river with a helicopter flying ahead gives a clue of what is hidden inside the book. When an antique artefact is stolen from National Museum, Delhi, a reckless and stubborn police officer ACP Aryan is placed at the helm of the case. Uncovering each layer of the truth, Aryan discovers that the people on the hunt for the artefact are the descendants of those who are found only in the scriptures of Indian mythology- The Asuras. 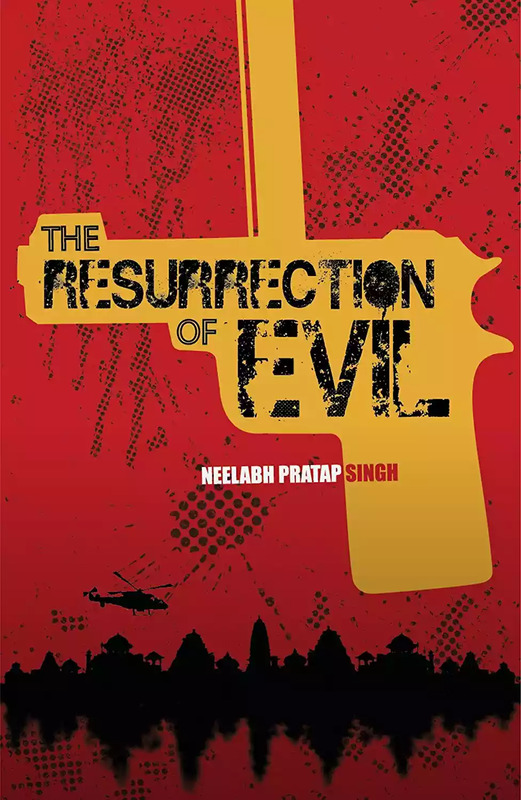 From the gateway of Lord Vishnu- Haridwar to God’s own country- Kerala, from fiery pursuits to narrow escapes, the mystery of the artefact draws Aryan into a lethal maze of vengeance, betrayal and dreadful secrets. With time slipping out of hands like sand, Aryan must unravel the secret motive of his adversaries. Else, this story of Good vs Ancient evil might not end with the victory of Good. The book opens up with the story of violence between Manoj and his wife, Swati. Meanwhile Manoj kills Swati and the prologue ends up with a person admiring at that incident from a distance. Later the story moves to Richard Turner, who was trying to escape from an evil hand but he was eventually caught and beaten to death. Then the story lands up in a pub where a man fights out some boys who were trying to molest a girl. And later his identity was revealed as ACP Aryan. The book further moves with a quick introduction of Aryan and he was imposed a task to trace an antique artefact which was stolen by Jahangir. Meanwhile, when they reach Jahangir, he was killed by someone and the case becomes more complicated. Hence the book is further built on whether Aryan succeeded in his task of rescuing the pot. And what is the pot really about?? How it was associated with everyone?? Find the answers and many more suspense in this book. The story revolves around many plots and so it takes some time to connect everything. Yet the book has connected every knots at the end. The book reflects the hard work done by the author to construct a plot mixing both mythology and thriller. The reader can gain knowledge on many myths by reading this book. The author has very well connected the amrit with the concept of telomeres. The history of Mayasura, Nagas, Danavas, Daityas, Mahabali, Amrit, Tuatha De Annan and etc were very well plotted and also intrigued some interest in me to study about myth. Apart from Mythology, the action plot helps the book because the words of the author narrates the action scenes as if it is live before our eyes. The book has multiple characters and so it breaks the coherence of the story. The story has equal proportion of action, thriller, myth, suspense and love. The twists and turns grips the readers to the book to unleash the hidden secret within that cauldron. The picture depiction helps us to understand the concept more clearly. But How an ACP can easily trust a criminal like Lugh who already tried to kill him remains unanswered. The connection of the prologue with the book is revealed only at the end of the book. And it’s absolutely unimaginable. And the answer for where shraddha met Mayasura and why he exposed his identity to Shraddha also remains unanswered. Apart from these questions, the book is a great mythological thriller. The above review is just what I thought and felt by heart. Your views might vary from mine.